When you are in the service business, your most challenging task is to bring in new business. Getting to the right person and then making them actually pay attention is close to impossible. For those on the receiving hand, you will be subject to countless promotions most of which are binned before you even look at them. The few that make it past that initial trashing usually lack creativity for you to make the effort and respond. The music business is one of the more challenging industries when it comes to getting new music in the hands of those that can help promote it. I’ve had friends of mine in this business regularly speak to me about the difficulty in finding surprising but smart ways to get ad executives and producers to listen to new tracks. The standard promo CD and online playlist doesn’t cut it. Most get ignored. As such, they try to be increasingly innovative with their approaches. The case study below is one of them. To promote a new track Kontor Records went analog (sort of) and sent vinyl. 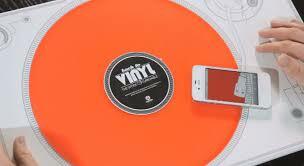 In order for people to play the record, they also included in the promo pack a very cool record player that could be used with any smartphone. People definitely paid attention to the idea and the artist even decided to feature it in his upcoming video. Very cool.